A 529 plan allows people to save and invest money for a beneficiary's college education. 1. What Is the Difference Between a 529 & a Custodial Account? 2. Can I Transfer My UGMA/UTMA Account Into a 529 Plan? 3. Which 529 Plan Should You Pick? 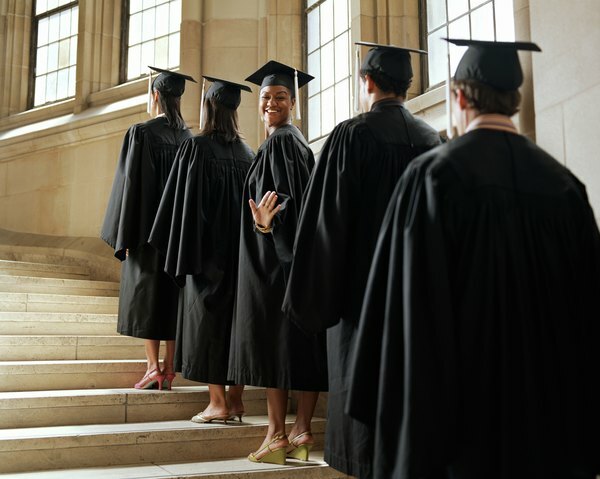 Named for Section 529 of the Internal Revenue Code that defines and authorizes them, 529 plans are tax-advantaged savings programs designed to help families save for college. Two types of 529 plans - individual and custodial - meet the same savings goals, but they have some different characteristics. One notable difference is that the account owner in an individual plan remains the account owner. But in a custodial plan, the account owner (designated as the custodian) manages the account until the beneficiary (a minor child) reaches the age of majority. At this time, the beneficiary becomes the account owner. Also known as "qualified tuition plans," 529 plans are similarly authorized by the IRS, but they're administered differently by their educational institution, state or state agency sponsors. Each state has its own 529 plan – or more often, a choice of several 529 plans. Google "[your state] 529 plans" to see which plans your state offers. You can also compare plans through the "Saving for College" website, available through the References, which offers some additional, helpful ways of comparing different plans. About half the states offer some additional state assistance beyond the federal tax advantage. It's easy to be overwhelmed by the choices, but even though some states have multiple 529 plans, they basically are either a prepaid plan or an investment plan. With any of the prepaid plans you're basically locking in a tuition rate at a qualifying college. One of the limitations of this kind of plan is that they usually limit you to colleges in the state where you set up the plan (which needn't be your state of residence, however). You can always get the money out later, but in that case you've eliminated the one advantage of all prepaid plans, the locked-in tuition rate. With any of the investment plans, you're setting up your own investment portfolio. You can use the money to pay for the college you choose. According to a Wall Street Journal analysis of the two plan types, the additional flexibility of investment plans over prepaid plans and the fact that investing in an index fund in an investment plan will generally allow your money to grow faster than the growth rate in the prepaid plan usually makes the investment plan the preferred choice. Both prepaid and investment plans require signing up with an investment management company like Vanguard, T. Rowe Price or any other large investment management company. Most companies offer them, but choose carefully; fees vary, and one of the most important ways to grow your 529 fund is to keep management fees as low as possible. Finding these companies is simple; when you Google "[your state] 529" dozens of them will pop up. There are two kinds of custodial savings plans for minors, both of them, as with 529 plans, set up according to the particular state where the plan is registered. One of these two custodial plans is set up according to the terms of the "Uniform Gifts to Minors Act" or UGMA, the other according to the terms of the "Uniform Transfers to Minors Act" or UTMA. They're similar, but the UTMA is the more popular choice because under the terms of UTMA you can contribute a wider variety of assets to the custodial account. Because of the greater popularity of UTMA accounts, some states no longer even offer UGMA custodial plans. As with 529 plans, setting up the plan is extremely easy; call any brokerage and they'll be happy to walk you through the process. You'll be instructed that there needs to be a donor t_o the plan and a _custodian for the plan. Don't be alarmed by this apparent complication. In fact, most families have one of the parents assume both rules. Although there's no inarguably great advantage of 529 plans over custodial plans, more investment adviseries recommend 529s for a couple of reasons. For one thing, although you pay taxes on the money you put in a 529 account, once it's in the account the investment grows tax-free, much like money in a Roth IRA. Also, many states do offer a full or partial exemption of state taxes put into a 529 – a benefit corresponding to the tax benefit of an IRA. On the other hand, fees in 529s tend to be higher than for custodial accounts, which may tip the balance toward custodials for families in lower tax brackets where the tax savings of a 529 may be less of an advantage. Another frequently cited advantage of 529s is that they remain in the control of the custodian; once your child reaches 18 (or 21 in some states), if they decide to pull the money in a custodial account for a Bitcoin investment or to invest in penny stocks, there's nothing you can do about it. In certain circumstances, however, that disadvantage could become an advantage. Once you've committed funds to a 529, it must be invested in your child's education; otherwise, if financial circumstances – or if your child just doesn't want to go to college – require a noneducational withdrawal, you'll not only have to pay taxes on it, you'll probably be subject to a 10 percent IRS penalty. Once your child is of age, the money in a custodial account can be withdrawn for any purpose without penalty. Can Grandparents Take a Tax Deduction for Contributing to 529s for Grandchildren in Pennsylvania?